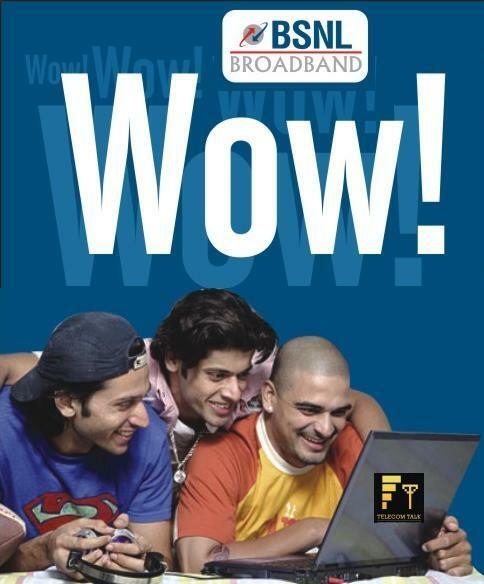 India’s largest Broadband service provider Bharat Sanchar Nigam Ltd (BSNL) today announced the launch of two new True Unlimited Broadband plans for Rs.575 and Rs.725 for its customers in Surat SSA of Gujarat circle, providing 512Kbps and 1Mbps download speed respectively. 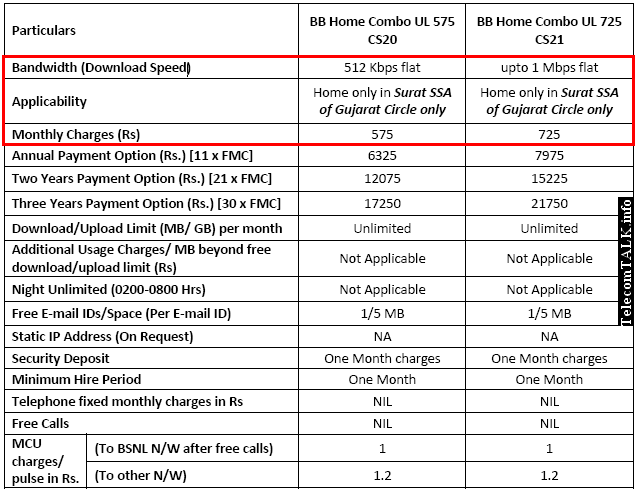 In a bid to compete with local broadband service provider ‘YOU Broadband’, in Surat, BSNL has launched these new True Unlimited Broadband Plans –BB Home Combo UL 575 CS20 with downloading speed 512 Kbps and BB Home Combo UL 725 CS21 having download upto 1 Mbps without any Fair Usage Policy (FUP) or cap. These new plans are will be available as a promotional offer for a period of 90 days for new and existing customers of Rural and Urban areas of Surat SSA in Gujarat Circle starting 21st October, 2013 and comes with Monthly Annual, 2 and 3 years ‘Advance Rental; payment option for discount with the respective tariff. Due to cutthroat competition by private service providers in Surat Telecom district in Gujarat circle, the penetration of BSNL broadband connections is less than 2o% of its total switching capacity. On July 29, 2013, B K Sinha, CGM, BSNL Gujarat suggested to N K Gupta Director CFA, BSNL Corporate office for revision of tariff of BroadBand with justification to match with the local competitors especially in Surat as a result above two new attractive plans have been introduced. Our Take On : To win back such customers in wire-line – Broadband segment, BSNL should introduce similar or more competitive plans in all circles across India. i want to plan 1year & 1 mbps speed uses unlimited.